The quality of conservation that necessity brought to my parents and their peers is a quality that necessity will once again bring to our society. Mrs. Alice Foltz was my sixth and seventh grade teacher as well as being principal of Grove Hill Elementary School near Shenandoah, Virginia. Since 1990 the Annie E. Casey Foundation has ranked states annually on overall child well-being in a report called Kids Count Data Book. The Foundation’s report is viewed as the authoritative source of information on how we are doing nationally as well as state by state for our children. The total number of people killed by guns, suicide and accidental deaths between Newtown and December 2013 is 12,042. With all the fear and anguish brought on by these shootings, little has been done to address the issue in Congress or in state legislatures. Recently the New York Times editorial board wrote about the “healthcare showdown in Virginia.” Their comments were not favorable. 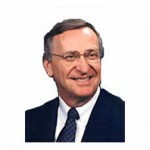 Ken Plum: Are business incentives worth the investment? Last month Governor Terry McAuliffe announced that Virginia will participate in the Business Incentives Initiative, a joint project of The Pew Charitable Trusts (Pew) and the Center for Regional Economic Competitiveness (CREC). Last Wednesday the 2014 session of the General Assembly adjourned sine die at the end of the Reconvened Session that is called at the conclusion of each regular session to consider amendments to legislation proposed by the Governor and vetoes he made of any bills. People who could benefit from an expansion of Medicaid that closes the coverage gap by insuring more of the working poor are found throughout the Commonwealth. In Virginia a governor can serve two terms, but the terms cannot be successive. All newly elected governors of Virginia take office at the beginning of a biennial budget cycle where the outgoing governor has proposed a budget for that cycle. On the fourteenth of each month, the anniversary of the Sandy Hook tragedy, I join dozens of others at a vigil at the National Rifle Association headquarters to remind everyone of the need for sensible gun safety measures. After the most recent vigil, I got an email from Erin Nikitchyuk in Newtown, Conn., which I share with her permission to remind us of how we all need to be concerned about this issue. At a time when quality reviews and accountability measures result in more activities being given a letter grade, it is appropriate that legislative sessions receive the same treatment. Last week the General Assembly reached the midpoint of its annual session, or crossover as it is called in the legislature. At this time in the calendar, the House of Delegates and the Senate have completed work on the bills that were introduced into the respective houses. A voice vote in the House Commerce and Labor committee killed a measure to increase the minimum wage in Virginia. The bill, SB 590 (Sen. Dave Marsden, D-Fairfax), would have raised the state minimum wage from $7.25 to $9.25 incrementally over the next two years. Despite Virginia’s historic antipathy toward the federal government, the Commonwealth has nonetheless historically ceded decisions to federal authorities on major issues on which the state had been unwilling to move forward. Between 2007 and 2012, the median wages of Virginia’s highest income earners rose by 8 percent while the lowest income families’ wages shrank by 10 percent, according to an analysis by the Commonwealth Institute for Fiscal Analysis. The “Virginia way” that has always prided itself on clean government has been sullied. Committees in the House and Senate are at work to tighten up ethics laws for the legislative and executive branches of government. Last week I heard the 35th State of the Commonwealth speech since I have been a member of the House of Delegates. I think Governor Terry McAuliffe made the best of any of the speeches I have heard over my career in the legislature. Virginia taxpayer dollars not returned to them has amounted to five million dollars each day since Jan. 1, 2014, and will continue at that rate each day that Virginia refuses to expand its Medicaid program. In addition, at least 400,000 working Virginians will continue to be uninsured. Last month the disAbility Law Center (dLCV) issued a report on the condition of mental health services in Virginia. 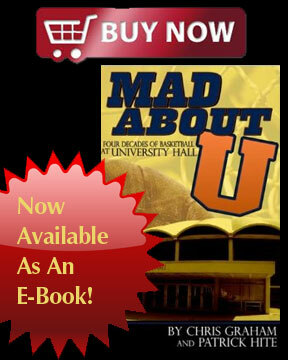 It is an eye-opening report: Broken Promises, the Failure of Mental Health Services in Virginia. The legislature does not have a tradition of passing a resolution at the beginning of each year stating as individuals often attempt to do with their “new year resolutions” what will be done that year. Debate on such a resolution would take up the entirety of the session, and if ever agreed upon may likely be forgotten as realities of the year and the session set in. Gov. Bob McDonnell has presented a proposed budget to the General Assembly for the next two years. What is unique about the budget is that Gov. McDonnell will not be around to defend or to implement it. The Constitution of Virginia limits the governor to one term. The Virginia General Assembly session gets under way on Jan. 8, but a great amount of groundwork goes into preparing for it. Beyond taking care of our personal and family responsibilities in December, legislators are rushing to survey constituents on their issues and concerns, get bills drafted and move to Richmond for at least 60 days starting in January. We are not doing enough to respond to the mental health needs of the Commonwealth. According to the National Alliance on Mental Illness, the per capita spending for mental health programs in FY 2009 was $122.90. For Virginia it was $93.81. Too many of our mental health needs are going unmet. Happy Thanksgiving Day to you and your family! In previous columns on this date I have presented the historic evidence clearly establishing that the first Thanksgiving celebration took place at Berkeley Plantation in Virginia on Dec. 4, 1619 – several years before the Pilgrims ever left England to come to Plymouth Colony. There is no program or service for which public dollars can be invested that will have a greater return than those invested in young children. People who work in early childhood and day care programs have known intuitively and anecdotally for a long time that children in their programs were much more likely to be successful by a number of different measures than were children who did not have access to their programs. Another phase of the Affordable Care Act (ACA) became effective this week. Although controversial among some politicians who refer to the Act as “Obamacare,” it is proving extremely beneficial for those who have had limited or no access to health care. 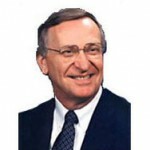 Ken Plum: Where is the outrage? The NRA just took out of office two legislators in Colorado who had voted for modest gun control measures. The message is clear–speak out on ending gun violence and we will get you at the ballot box. As fundamental as the right to vote is to a democratic republic, free and open access to voting continues to be a contentious issue. Reading a letter Governor McDonnell sent to state employees or listening to a speech he gave to the General Assembly money committees last week you could conclude that Virginia state government has plenty of money. Earlier this month I attended “The Governor’s K-12 Education Reform Summit,” the second such event put on by the McDonnell administration in as many years. The State Integrity Investigation, a project of the Center for Public Integrity, recently gave Virginia an F grade and a rank of 47th among the 50 states in its Corruption Risk Report Card (www.stateintegrity.org). Ken Cuccinelli has spent the past two weeks touring businesses and facilities that play a critical role in Virginia’s energy industry. Thursday afternoon, Cuccinelli wrapped up a four-hour tour of Paramount Deep Mine 41 in McClure. 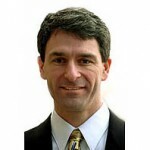 Republican gubernatorial candidate Ken Cuccinelli will be in Staunton on Wednesday for a community chat. Not only are we not doing enough, but we are seeing actions on the part of congressmen and senators and state legislators fearful of the gun lobby that may well result in more gun violence. The Supreme Court had an historic week recently with major decisions on gay marriage, immigration and voting. I am particularly concerned about the decision that I believe does major damage to the Voting Rights Act.